SKU: 48167. Category: Dynamic P.P. Strong and stable school chairs with a strong metal frame to withstand frequent use in schools. Space saving as they can be stacked or stored on the tables and make cleaning easy without moving furniture. 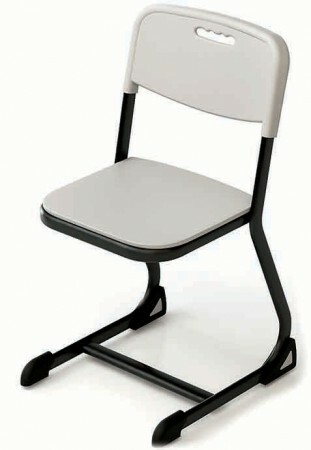 It is particularly comfortable thanks to its special seat and backrest with air cushion effect. The seat and backrest are made of double-walled polypropylene, a very robust and scratch- resistant material which can also be easily cleaned and recycled.